Make every day special! 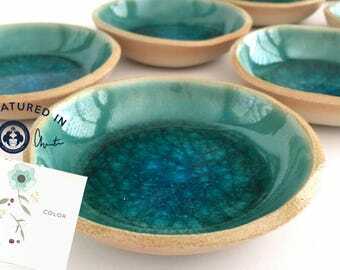 with handmade ceramic salad plates / pottery dessert plates. A unique idea for mothers day gift, gift for mom,wedding gift, housewarming gift, hostess gift and more. Size of this salad plate / dessert plate is about 8.5" (21.5 cm) diameter. 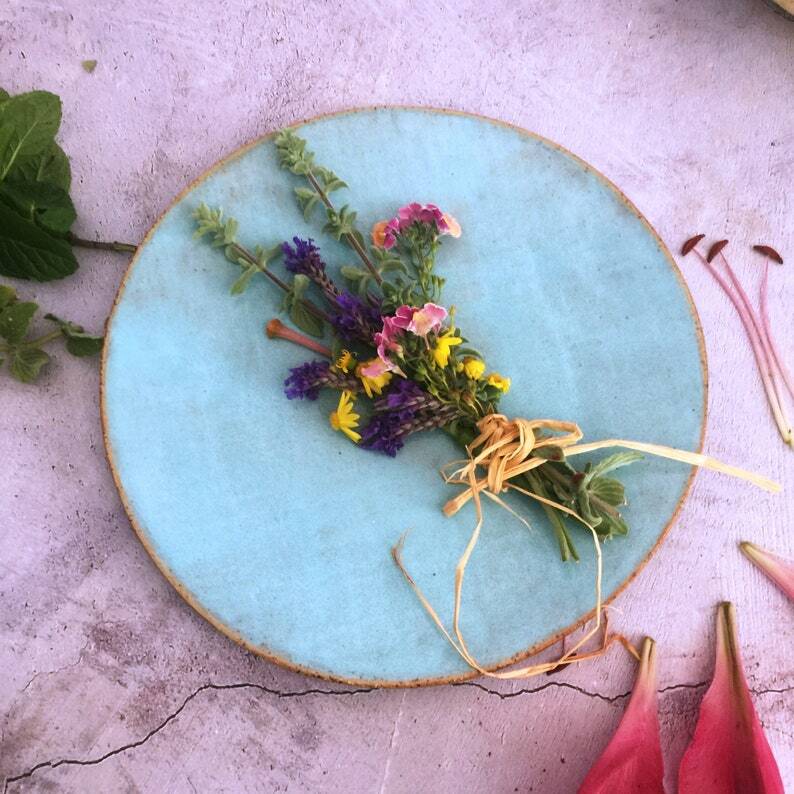 This rustic design of ceramic plate is handmade of speckled clay and glazed in light blue. It is available in few shads of Mediterranean colors (Turquoise, Green, Light Blue or White). * Hand built using slab technique.